Journey deep into Forever Florida, a 4700 acre eco-ranch and wildlife conservation area, preserved just as nature intended. Just a short drive from Orlando, in Kissimmee and Florida’s Space Coast, this beautiful site boasts 9 distinct Florida ecosystems and an endless array of natural flora and fauna including alligators, black bears, nearly two hundred species of birds and the endangered Florida panther. 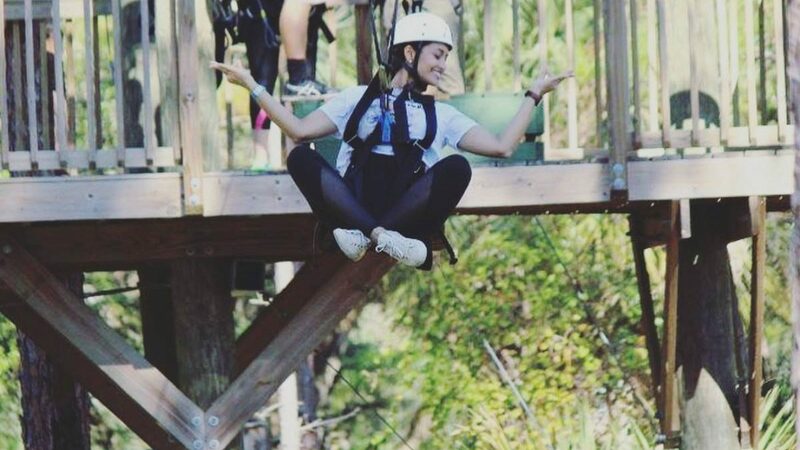 Choose your adventure: Ride the first zipline roller coaster in the USA, pedal through the treetops over forested wetlands on the Cypress Canopy Cycle, conquer Central Florida’s biggest zipline adventures or explore 4700 acres of pristine conservation lands on a Horseback or Coach Safari! Choose EcoPark Admission for a full day including six of the most outrageous adventures! Your visit makes a difference! A significant portion of all safari revenues go to support the conservation of additional lands at Forever Florida.